This post was originally published on Ecocult by Alden Wicker. I often get these questions in person and online from friends and other bloggers. And I answer them as best I can. But my answers are sometimes pretty vague, or based on a gut feeling. I don’t always have data or hard facts on hand. Now, I have a place to send you to get a definitive answer: Project Just. 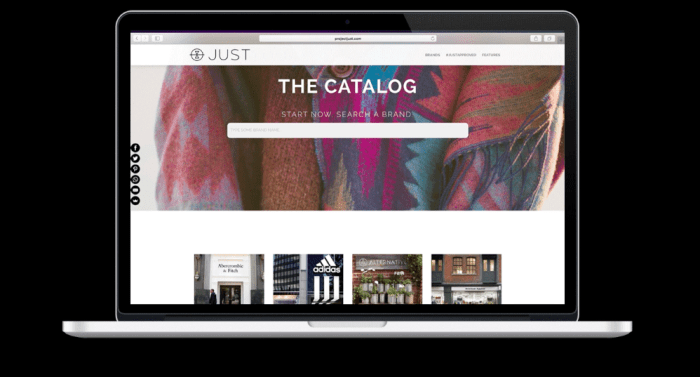 Launched last month, by the social justice warriors Natalie Grillon and Shahd AlShehail, this platform is a beautiful wiki for ethical fashion issues. Look up a brand, like American Apparel, and you’ll get a succinct sum-up, with pros and cons and cute little emojis to get the point across. And then you can dive deeper to find out more, if you wish, and even download the data if you are a researcher or journalist. The information is sourced from articles and the websites of the brands themselves, and is clear about the information they are missing. The best part is that Project Just is meant to grow and evolve based on submissions from users. So if you know a dirty little secret about one of the brands, you can make sure the world knows! Or you can crow about a sustainable initiative from your favorite brand. If there’s a brand you would like to see on there, you can email them to request it. This was a sorely missing piece of the puzzle when it comes to sustainable and ethical fashion. Hopefully, with its help, consumers will feel more empowered and educated, and can shop with confidence that they’re supporting fashion brands that aren’t harmful to people or the environment. In other words: Watch out unethical brands. Project Just is coming for you.